Well I did it! I crocheted something besides a ripple blanket. I had been wanting to have a go at making some slipper for a while, and I finally got around to doing it a few weekends back. Don’t look too closely because they are far from perfect, but they are not bad at a first attempt at something not flat, if I do say so myself. I based it on this pattern by Pip from Meet Me At Mikes. 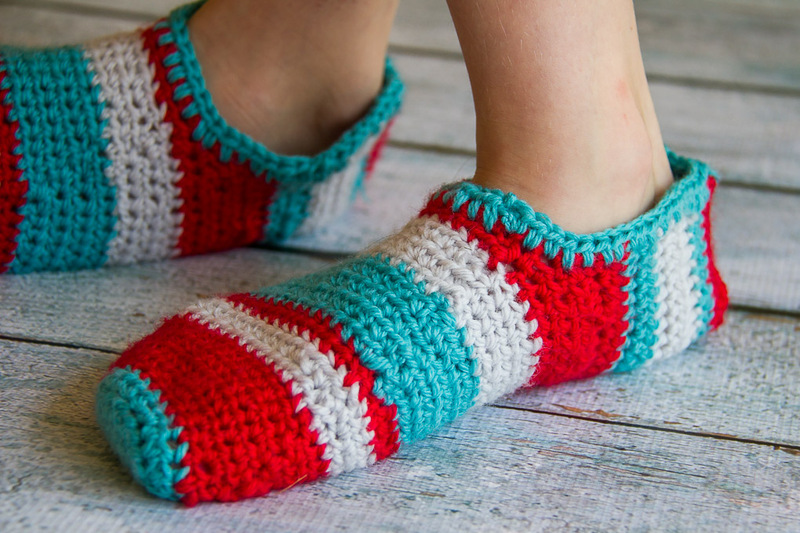 I love her patterns because they are super easy to follow for a novice like me – and the pics are are really helpful too. I modified the pattern slightly to make them smaller for Hannah to wear, and they are still a little large, though I thought I might give them a warm wash to shrink them a little. I also ran a decorative stitch around the top, just because I liked the look of it. I used 8 ply Bendigo Woolen Mills Luxury range 100% wool in Ghost, Aquamarine, and Sunrise, on a 4.5 mm hook. It seems to be my favourite combination of hook and wool. 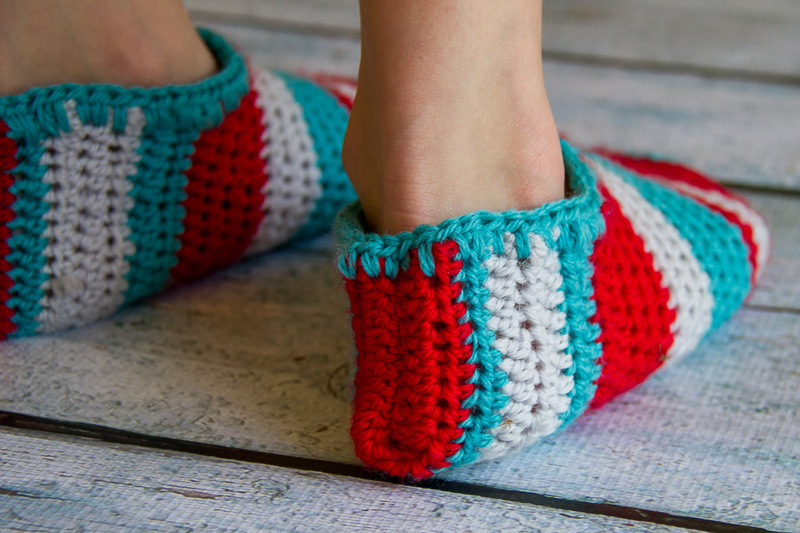 The slippers are made in one piece, and the heel is formed by folding the back in half, and running a stitch up the back. 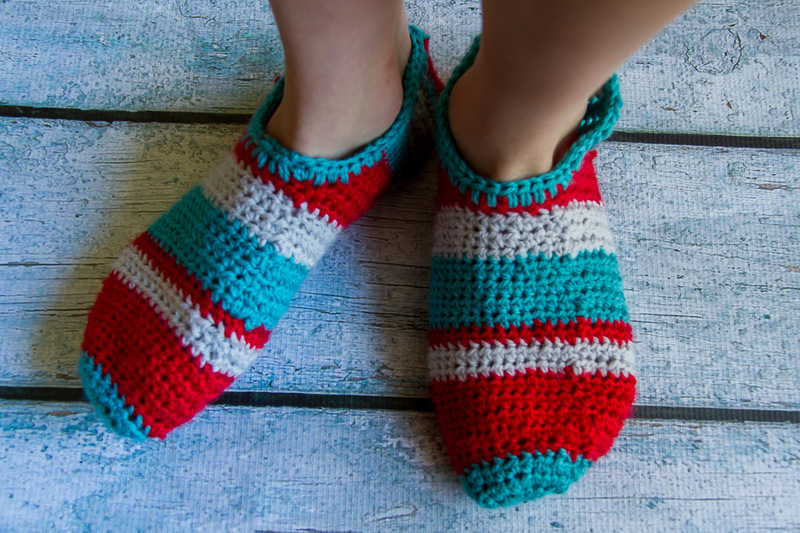 One trick I used to try and keep both slippers have the same number and width of stripes, was to do the same colour on both slippers before moving to the next stripe. It definitely helped to keep them looking similar. The more I crochet, the more I am discovering these little tricks! So there you have it, my first slippers, but definite not my last. Meg has asked for some boot looking slippers with dinosaur spines down the back. I have said I will have a go, but next up is another blanket, though not a ripple blanket this time. I’m branching out. Have you been making anything new lately? 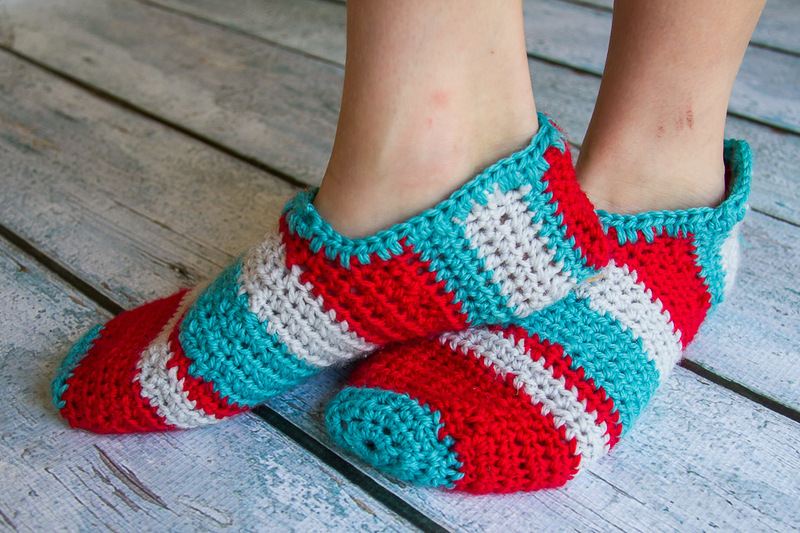 Got a pattern for dinosaur slippers? They look fantastic! Great stuff. 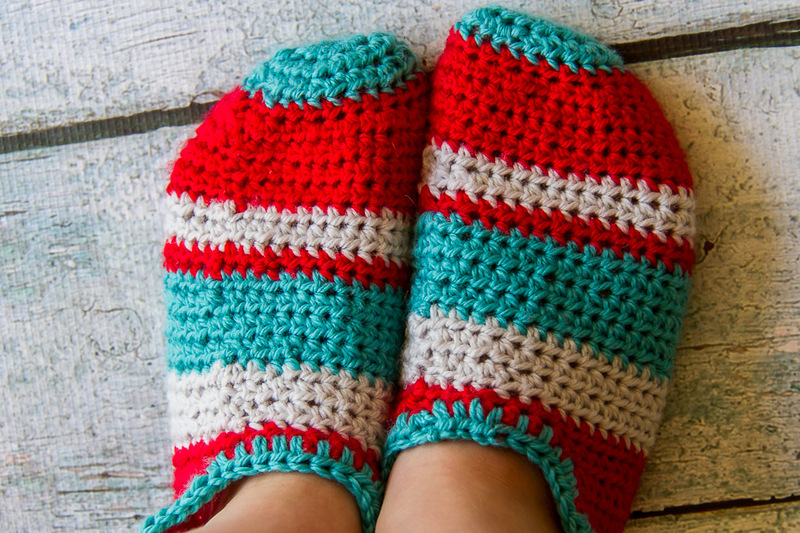 It is almost the wrong season for slippers, but they are pretty easy. I’m onto another blanket now… not a ripple blanket this time!